Are you a fan of Thai iced tea? 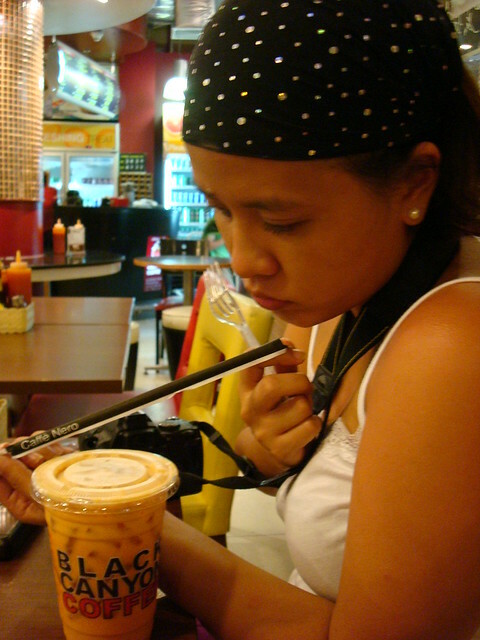 I instantly became a fan of Thai iced tea after trying it at Black Canyon Coffee at the Suvarnabhumi Airport back in 2009. Here's a photo of me from 4 years ago, sun burnt from our Phuket trip. I also ordered a slice of blueberry cheesecake to go with my drink. My friends and I liked it so much that we made it a point to go back at that restaurant before our flight out of Bangkok. 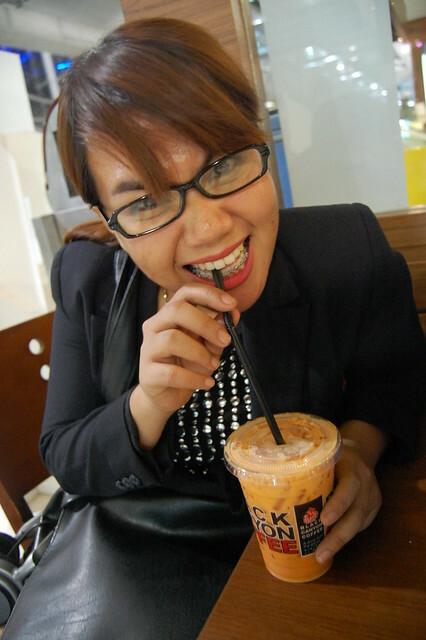 November 2010 — I was back in Bangkok with two other friends. 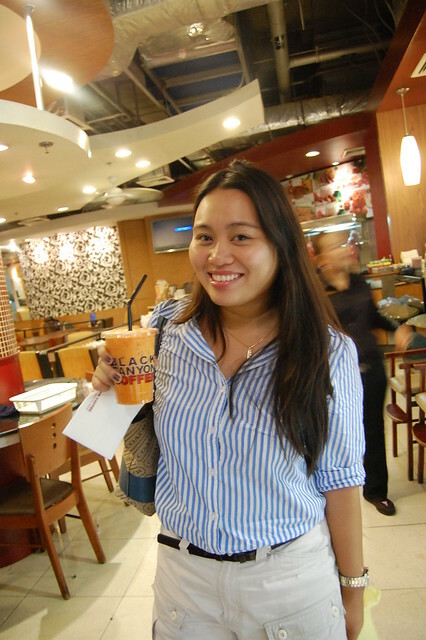 I wanted to introduce to them my fave iced tea. 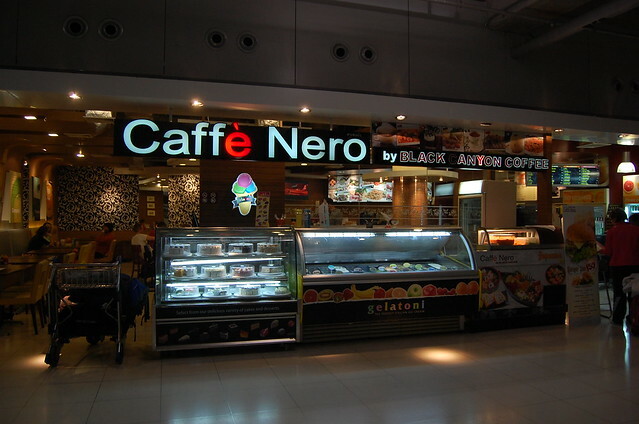 Luckily, Black Canyon Cofee was still there at the departure area. 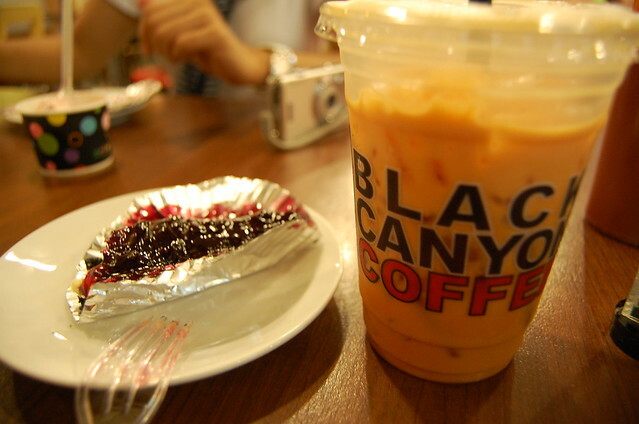 Good News: Black Canyon Coffee has already arrived in the Philippines. Bad News: It opened its first branch at SM Southmall which is a 2-hour drive from where I live. Sigh.